Selling your San Diego home in 2017? Cheap tweaks can pay off big-time. And even when these don’t equate to big dollars, they may help sell your property faster. Let’s take a look at 10 budget-friendly ways to increase your home value. Home buyers make up their mind about your home before they step in the front door. Ensure your landscaping, lawn, and flowering beds are free of weeds and debris. Any homeowner with a shovel and some elbow grease can dramatically improve their home’s curb appeal over a long weekend. A home packed full of furniture, clothing, collections, exercise equipment, and memorabilia can cause a home to look much smaller than its actual size. Believe it or not space is one of the top selling points for a home. Clean all windows, carpets, furniture, closets, and bathrooms thoroughly. While a home may appear to be clean, the walls and floors are often the areas that will hold on to dirt, stains, and smells. To be sure that your home is as clean as possible, pay special attention to these areas. Fresh paint in neutral colors will attract many a homebuyer. Don’t forget the baseboards and trim and front door. 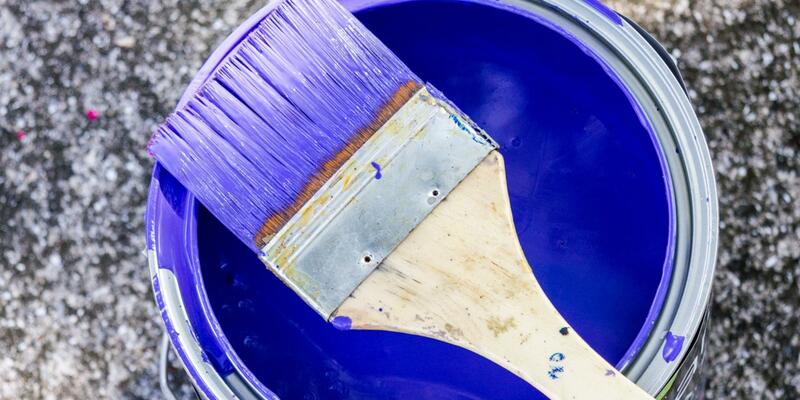 Just like a lawn without edging, painting walls without the trim looks unfinished and dirty. You can also paint the older (or dated color) tubs. You don’t need to buy a whole new tub and replace it. Over time caulk, the silicon that protects surfaces from water seepage around plumbing fixtures, can discolor, tear, or degrade. Stripping this material out and replacing it with a fresh bead of silicon is an inexpensive way to improve both bathrooms and kitchens. San Diegans love the outdoors and outdoor living. Adding an outdoor dining table to a porch or yard makes it seem like there’s even more space, even if it’s a little crowded. These get super dirty with use, but are really cheap to replace to create a fresh new look. Replacing old blinds can be done in a snap. In today’s market people are looking to see more natural light, so don’t limit yourself with those old dusty mini blinds. If privacy isn’t an issue, just leave the windows bare to maximize natural light and make the room’s dimensions seem more generous. Do what you can afford, comfortably. Appliances, cabinetry, counter tops and flooring can always be updated. For cheaper solutions, make sure appliances are clean and working, Resurface or paint cabinets. Adding new door pulls can make cabinets feel fresh and new. If counter tops or flooring is damaged, replace with like material. Making some simple, low-budget improvements to your home can reap big rewards when it’s time to sell. Spending just a few hundred dollars can pay off big in terms of the boost in value. It can also mean the difference between a quick sale and spending months on the market. So roll up your sleeves, put on your gloves, and have fun!